Ensuring higher MSP to farmers. What are the govt's options? Ensuring higher MSP to farmers in an election year. What are the government’s options? Fixing MSP only on the basis of cost of production, without any reference to demand, global market etc. can cause distortions that may take years to correct. After promising in its 2014 manifesto that it will ensure 50 per cent return over costs while fixing minimum support prices of crops, the BJP-led government has been under pressure to honour its commitment. In the first two years of its term, the government went through fiscal consolidation and MSPs were only given a modest raise of 4-6 per cent, forcing the state governments of Madhya Pradesh and Chhattisgarh to discontinue the bonus they were giving on wheat and rice. A committee chaired by the chief economic adviser recommended substantial hike in MSPs of pulses, and the government did well by increasing the same by 24-27 per cent between 2013-14 to 2017-18. In fact, during this period, the MSP of gram and lentil has been increased by 42 per cent and 44 per cent respectively. However, due to a combination of factors ranging from demonetisation to global downturn, the prices of most agricultural commodities, and particularly vegetables, crashed. Farmers started agitating across India. Against the backdrop of rising discontent, the finance minister announced in his budget speech on 1 February 2018 that the MSP of kharif crops will ensure 50 per cent return over costs. Since then, it has become clear that it is not C2 cost (comprehensive cost including imputed rent and interest on owned land and capital), which includes imputed rental value of own land and interest on owned capital, which will be considered by the government. The question is whether the government should be fixing MSPs on the basis of A2+FL cost (actual paid out cost plus imputed value of family labour) by following a formula mechanically without reference to other factors like demand, global prices, export competitiveness etc. The MSPs for kharif crops are usually announced in May-June. If the government really decides to provide a profit of 50 per cent over A2+FL cost, we should expect substantial increase in MSPs. In a paper published on 10 April 2018, we have analysed possible impact of this. If we assume that costs will be higher by five per cent over 2017-18, the MSP of paddy is projected to increase by 11-14 per cent, jowar by 44 per cent, medium staple cotton by 28 per cent and maize by 15 per cent. Such sharp increase in MSP, without reference to demand of the commodity, global prices and other factors, will have far reaching implications for the economy. It is unlikely that the market price of all crops will rise in tune with higher MSPs. The NITI Aayog has been working on options before the government to ensure that farmers receive the MSP that is fixed. One option suggested by the NITI Aayog is the decentralised procurement scheme (DCP), under which state governments have been procuring wheat and rice to meet their public distribution system requirements. Any surplus quantity is transferred to the Food Corporation of India, and is then moved to deficit states. For commodities other than wheat and rice, states will have no option but to sell in the open market and incur losses. The storage capacity available with most states is sufficient for only wheat and rice. Moreover, they do not have regular quality control staff to ensure safe storage. It is extremely risky to hand over a large quantity of procured commodities to such staff as there would be every possibility of deterioration in quality, theft and frauds. Even for wheat and rice, DCP states have been complaining that they incur much higher losses than the amounts reimbursed by the central government. So, it is unlikely that states will be enthused to undertake procurement of a large number of commodities at MSP. The second option suggested by the NITI Aayog is price deficiency payment (PDP). A pilot project was undertaken by Madhya Pradesh in kharif 2017 for eight crops in the form of Bhavantar Bhugtan Yojna. 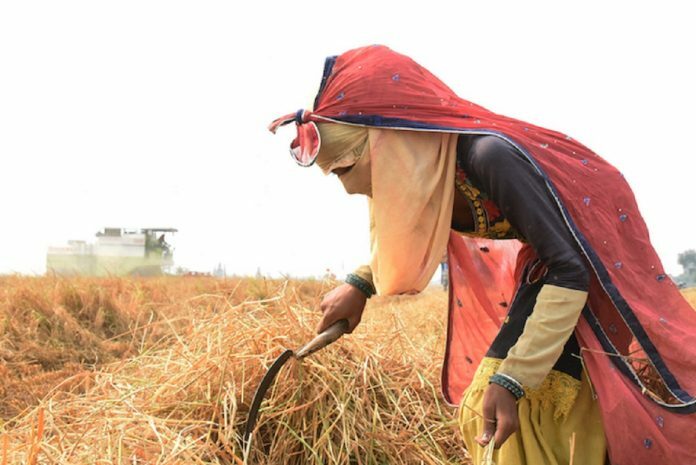 MP has a sound mandi system, which enabled the government to record details of farmers, the area under specific crops, and their bank account details. The farmers were assured deficiency payments equal to MSP minus average sale price, which was computed on the basis of mandi prices in MP and two adjoining states. In kharif 2017, mandi prices ruled much lower than MSP for soybean, urad, maize, ground nut and moong. And yet only 32 per cent of urad and 18 per cent of soybean production got the benefit of PDP. It is possible that most small and marginal farmers may not have registered under the scheme. If PDP is scaled up at national level, our estimates show that a compensation of Rs 1.13 lakh crore will have be paid to farmers if market prices are 20 per cent lower than the MSP fixed by using A2+FL formula. Meanwhile, Telangana announced a scheme for direct investment support, under which farmers would be paid Rs 10,000 per ha each for kharif and rabi crops. Under such a scheme of direct transfer, farmers would not be required to register each crop in mandis, and there would be less procedural complications. The money can be directly transferred to their bank accounts. Fixing MSP at higher rates is easy but ensuring that farmers get it is going to be extremely difficult and complex. The administrative capacity of the state governments must be kept in mind while making them responsible to deliver MSP to farmers. Moreover, fixing MSP only on the basis of cost of production, without any reference to domestic demand, inter-crop parity, requirement of water, global market and other relevant factors is likely to cause several distortions which may take years to correct. The author retired as secretary, agriculture. He is now visiting senior fellow, ICRIER.